The beauty of traditions is invisible to the eye. It brings to us, in a moment, the collective wisdom of generations, the nurturing, the tending, the patience and the love. We feel, that’s how our heritage shapes us and liberates us to craft our own unique identity in this world. Khela is a tribute to the textile heritage of India. 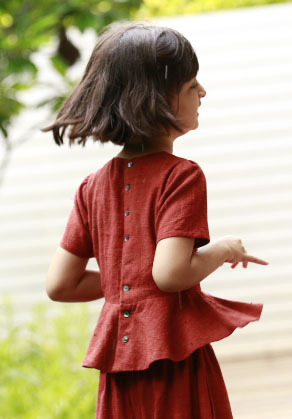 We create beautiful handmade clothing for children using traditional indian fabrics, arts and crafts. 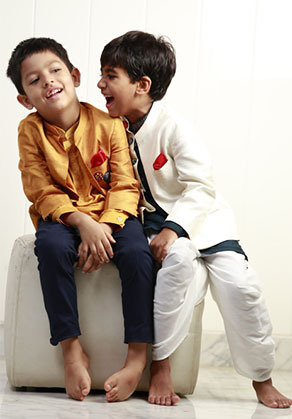 Our clothes are traditional yet contemporary, exquisite yet fun and easy to wear. They are designed such that the little fashionistas carry a piece of our culture wherever they go.